In its second year within ROA’s program of revitalizing, for academic year 2017-2018, ROA will award up to twenty $2500 scholarships to students pursuing courses of study leading to certificate, associate, bachelor, and graduate degrees. The Library of Congress Veterans History Project was introduced in 2000 as part of the American Folklife Center, one of the world’s most respected research and cultural institutions. VHP’s purpose is to collect, preserve and make accessible the personal accounts of America’s wartime veterans so that future generations may hear directly from veterans and better understand their selfless service. Veterans who served in the United States military, in any capacity, from World War I through recent conflicts have participated in this project and the VHP continues to accept new submissions, regardless of branch or rank. As contributors to this national preservation effort, volunteers from around the country interview veterans and collect first-person narratives. Any individual or organization may participate, including veterans’ family members and friends age 15 or older, high school and university educators, authors, veterans’ service organizations, places of worship, retirement communities, Scout troops, local businesses and professional associations. Loved ones of deceased veterans may submit their veteran’s first person narratives. Attendees can join an LOC representative for a VHP interview kit, and guidance for how to document your service and that of your Veteran colleagues during our Atrium luncheon on Monday. Col. Karen D. Lloyd, USA (Ret. ), acting director, of the Veterans History Project, will make a brief presentation during the Department National Council Meeting on Monday morning. VHP accepts veterans’ personal narratives in the forms of original, unedited audio and video recorded interviews, photographs, letters, diaries, journals, military documents, two-dimensional artwork, maps and unpublished memoirs that meet minimum requirements. 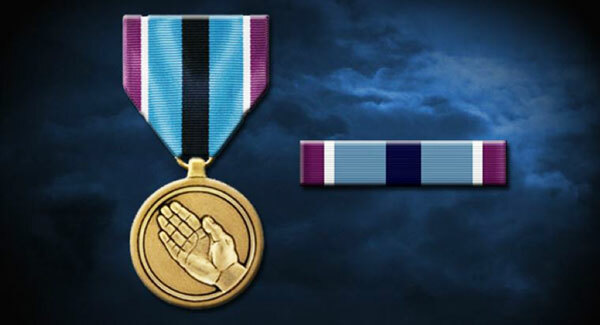 VHP also welcomes video and audio recordings of the impact of their loved one’s service from Gold Star family members, defined as a parent, spouse, sibling or child of a member of the armed forces who became missing in action or who died of injuries as a result of their wartime service. ROA’s third opinion piece was published March 2 in The Hill titled, “Two-year defense spending smooths the way to a ready military.” The article’s focus is on the importance of biennial defense funding. The budget deal signed Feb. 9 by President Trump funds the federal government for two years and postpones further damage to military readiness, especially that suffered by our hometown members of the Reserve and National Guard, by exactly that length of time. The House and Senate reached this compromise after a two-day shutdown drove a stopgap spending bill through March, giving members of Congress time to hammer out the legislation. The biggest winner is the Department of Defense with $700 billion in defense spending in fiscal year 2018 and $716 billion in fiscal year 2019, levels well above the sequestration caps mandated by the Budget Control Act of 2011. For members of our Reserve and National Guard, who stand ready to leave everything — home, family, jobs — to serve the nation, it reduces the threat of cancelled drills, with their disruption to readiness, employment and family finances. On 13 March, 2018, President Donald J. Trump thanked the men and women of the military for their service and highlighted his commitment to increased defense spending and national security in a speech at Marine Corps Air Station Miramar, California. 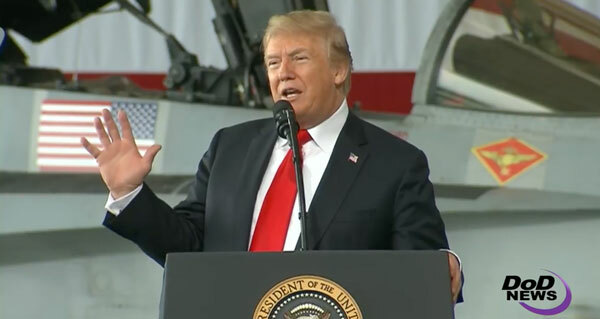 “The two-year budget agreement I just reached with Congress will provide $700 billion in defense funding this year, the largest ever — larger by far than any country has ever spent,” and “next year, defense funding will be $716 billion”, he said. The Department of Defense publishes contingency activations of the Reserve Components on a weekly basis. When DoD considered stopping the contingency reporting earlier in 2017, ROA was instrumental in pressing DoD to keep it as a reporting requirement. 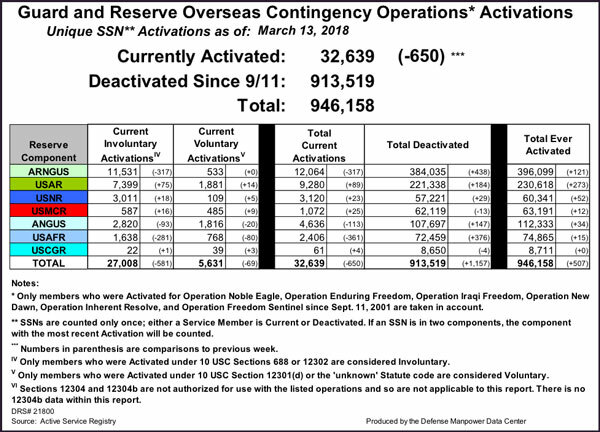 This information is important because Congress uses this information to gauge how the Reserve Component is being used for operational missions which results in authorizations and appropriations. Additionally, this report reminds the President and Congress that the Reserve Component is still being used for contingency activations despite years of drawdowns in Iraq and Afghanistan. 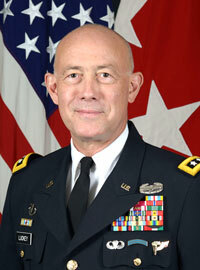 The Reserve Service Chiefs and the Office of the Secretary Of Defense have traditionally provided service updates, which were printed in The Officer magazine. Throughout the spring we will publish these 2018 updates here in The Reserve Voice. We thank the chiefs and OSD for providing these timely updates. In this issue we feature updates from the Chief of Army Reserve and the Director of Reserve and Military Personnel, U.S. Coast Guard. As the Army’s dedicated federal reserve force, America’s Army Reserve must be able to move fast, engage quickly, and support the Army and the Joint Warfighter in order to win decisively on the battlefields of today – and tomorrow. We have covered much ground over the past year – significantly increasing the readiness of our forces, closing interoperability gaps with the Joint Force, and posturing our team to respond quickly in a new and complex threat environment. Today, over thirty percent of your Army Reserve units are pressing hard to attain and sustain higher levels of peacetime readiness in order to reduce post-mobilization training time when called upon to meet contingency surge requirements and to Fight Fast. Since 1941, the Coast Guard Reserve has served as an essential force multiplier for the Coast Guard across a wide variety of contingency operations. Representing only 1.1% of total Coast Guard resources, the Reserve is currently capable of providing a surge capacity of nearly 17% of current active duty end strength within 48 hours. a 501(c)(3) non-profit organization that assist veterans, transitioning service members and family members in becoming nationally certified firefighters and 911 emergency dispatch operators. 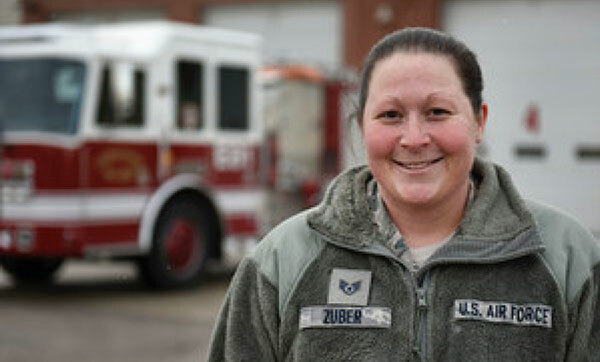 Troops to Firefighters serve as a liaison for those interested in the public safety career field, utilizing their partnerships to recruit, mentor and advocate for jobs on behalf of the program participants. It is through coordination and collaboration with organizations such as Priority Dispatch and the International Academies of Emergency Dispatch that interested individuals will receive training and certification to meet employment requirements. Upon successful completion of the entire 911 dispatch operators' program, participants receive certifications in Emergency Medical Dispatch, Emergency Fire Dispatch, Emergency Police Dispatch, Emergency Telecommunicator Course and International Academies of Emergency Dispatch EDQ, of which all are international certifications. Members of the New York Army National Guard Chaplain Corps recently participated in round-table symposium focusing on post-traumatic stress with Ukrainian medical professionals, psychologists, chaplains, and lawyers. Maj. Andrew Ayres, the chaplain for the Joint Multinational Training Group Ukraine, was on hand to share the American military's experience in coping with PTSD. The Ukrainian military, which has been engaged in an anti-terrorism campaign since early 2014, has an ever-increasing number of combat veterans, many of whom suffer from the disorder. 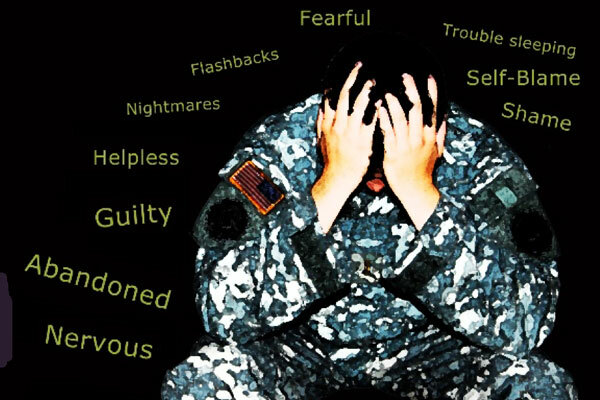 As the number of PTSD and combat stress cases increase, the Ukrainian military is striving to provide soldiers and their families with much needed assistance. As part of the initiative, medical professionals, military officers, lawyers, psychologists and religious leaders gathered together to collaborate on different actions to take to best address this growing concern. “This is a topic that we have been dealing with in the United States for some time now,” Ayers said. Found neatly folded in a 1965 book entitled, The Navy from Wood to Steel: 1860-1890, by Capt. Daniel Carrison, USN, this clipping on the Navy Reserve from the Sept. 1973 issue of All Hands caught the eye of executive director Jeff Phillips. According to Wikipedia, All Hands Magazine of the U.S. Navy was a monthly published magazine of the United States Navy for its sailors published since August 1922 under different names; the recent title was established in 1945. Its last issue was published December 2011. All Hands Magazine was brought back as a digital Web-based publication in February 2013. It is online at www.ah.mil. Click here for the magazine archives. 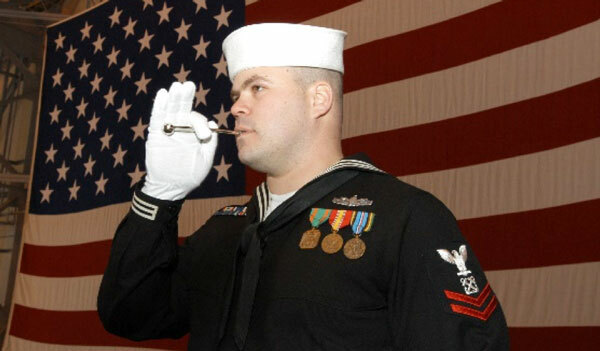 Read the clipping “The history & tradition of the Naval Reserve,” by Jerry Wolff. The U.S. Navy is currently conducting a service wide survey to better implement the recently released Navy Reserve Action Plan - Ready to Win. 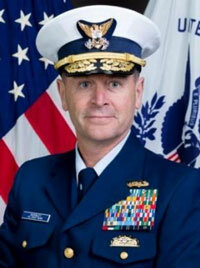 The Chief of Navy Reserve, Vice Adm. Luke M. McCollum, sent out a message this week asking for your input on a quick survey. “This survey will be used to baseline the Force's opinions on various topics and satisfaction with subjects such as pay and utilization of civilian and military skills. Your input is critical to provide us with a "navigation fix" of where we currently stand to inform our innovative teams on where we need to go,” McCollum said. The survey is completely anonymous with no login information required . . . just click and answer the questions. On March 9, 2018, Marine Forces Reserve New Orleans, La., showcased the new Joint Light Tactical Vehicle. 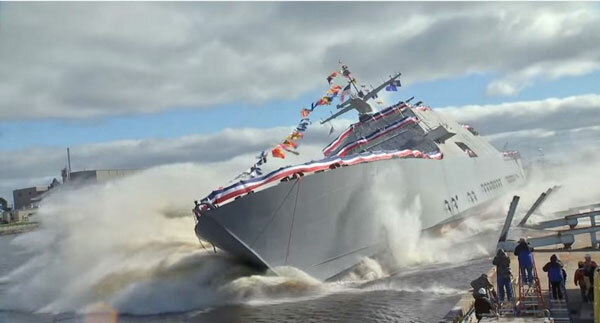 The JLTV, manufactured by Oshkosh Defense, is finding its new home with the Marine Corps Reserve as the successor to the Humvee, which has served the U.S. armed forces for over three decades. 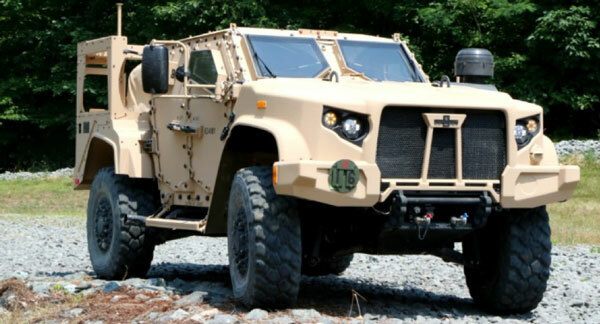 The Marine Corps will be introducing the first 130 of 5000 new tactical vehicles into circulation as early as the beginning of 2019 for the active component and will be fielded to the reserve component in 2021. DALLAS – The Army & Air Force Exchange Service is helping Veterans in the workforce reconnect with their military family through a special management training program, reaffirming the Department of Defense retailer’s commitment to hiring those who served. The Veterans Retail Management Training program introduces veterans to the business that drives the 122-year-old Exchange benefit. Participants in the immersive program receive two weeks of classroom training at the Exchange’s Dallas headquarters, learning about the organization’s enduring mission to take care of soldiers, airmen and their families. DALLAS – Military shoppers can grab their leather jacket and get ready for an exhilarating ride on a sleek customized motorcycle with Monster and the Army & Air Force Exchange Service’s latest sweepstakes. No. 18021 Section 4303(4) of USERRA-Definition of "Employer"
DATE: March 25-29, 2018 • Location: Columbus, Ga.
10000 N. Oracle Rd., Tuscon, AZ 85704. Location: Menger Hotel, San Antonio, TX. Note: Open to present and past members of ship's crew, Marine Detachment, embarked staffs, specialty detachments, and air wing. Reunion participants may bring guests. © 2018 ROA All rights reserved.